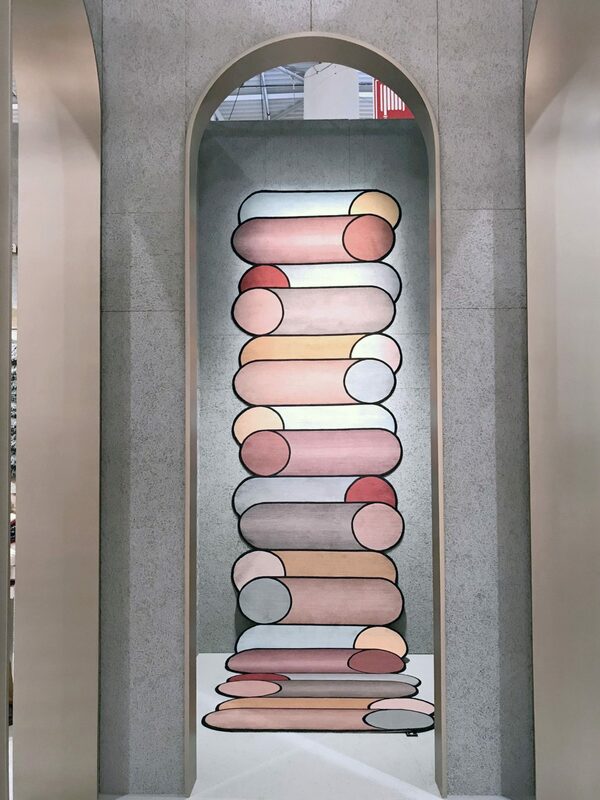 My Maison & Objet best in show highlights and my thoughts on all the trends you need to know about from latest edition of Maison & Objet Paris. 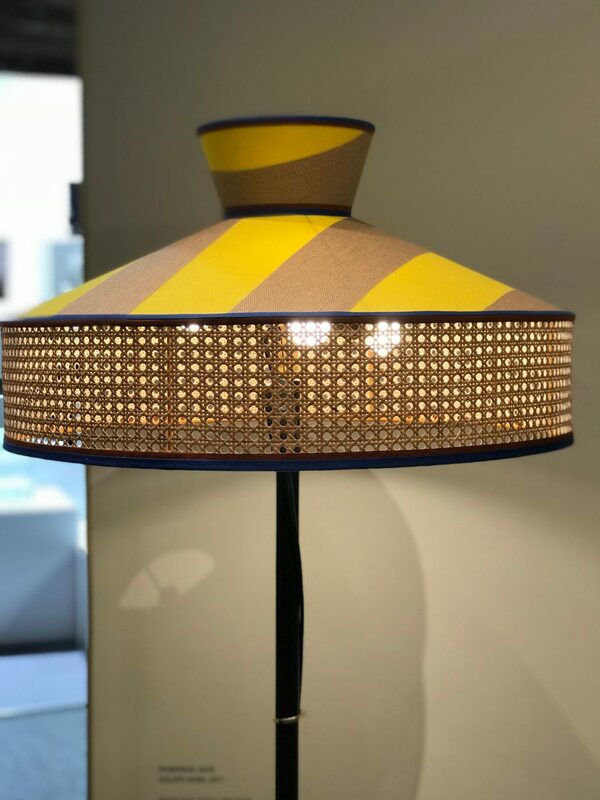 Paris in the drizzle doesn’t sound like a bundle of fun but when you’re actually in Paris for one of the largest interiors and homewares trade shows it’s not a bad thing. Well, that’s what I thought as I was packing for my annual January trip to Paris for Maison & Objet and Deco Off. I’ll be inside I thought, no need to worry, I won’t get very wet. In reality, I spent my three days in Paris looking like a drowned rat. Thank goodness I packed two pairs of shoes and a raincoat. At least I was able to rotate the dampness and swap out my soggy shoes. Thankfully there was no sign of dankness in the 8 packed halls of Maison & Objet, just wall-to-wall colour and polish. 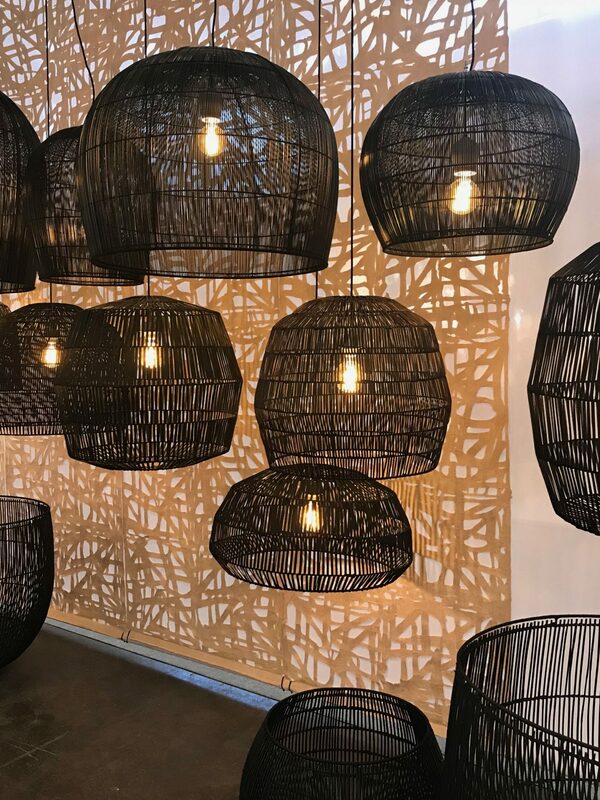 As you know, this was my third interiors trade show in January, and thankfully it did not disappoint. 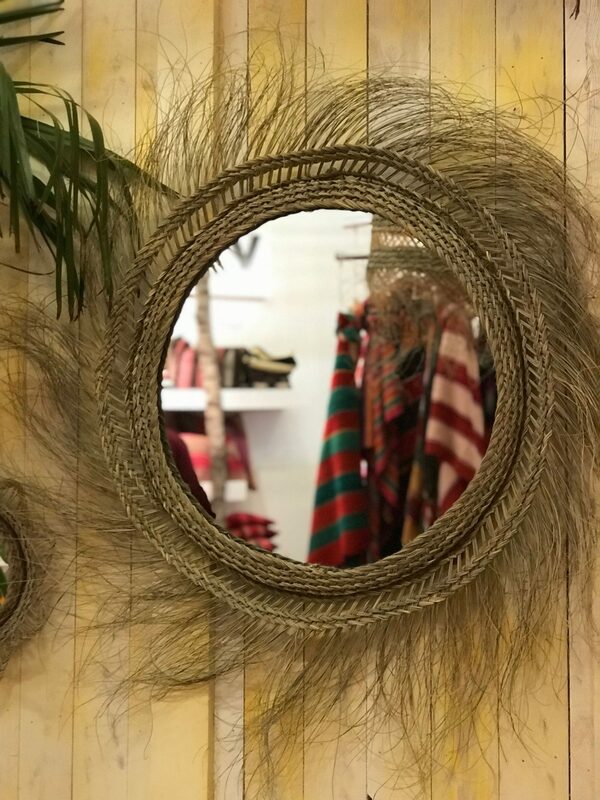 Over 3,000 exhibitors were flaunting the latest homewares, furniture, accessories, and lighting. 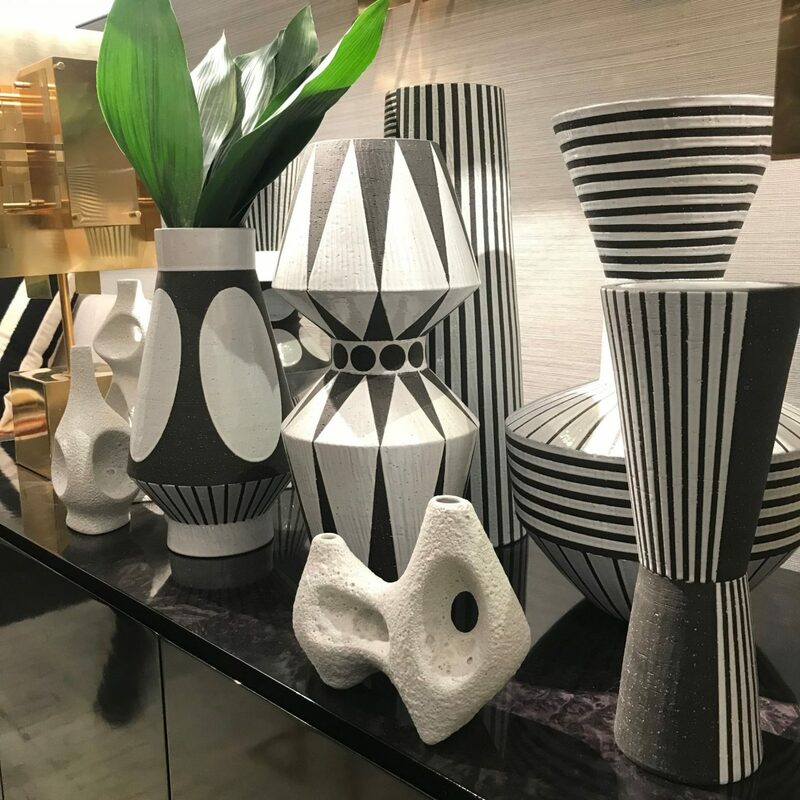 I was eagle-eyed looking for new to market products just like the other 91% of visitors who come to Maison & Objet to discover new lines. I had a plan, just like the A-team. 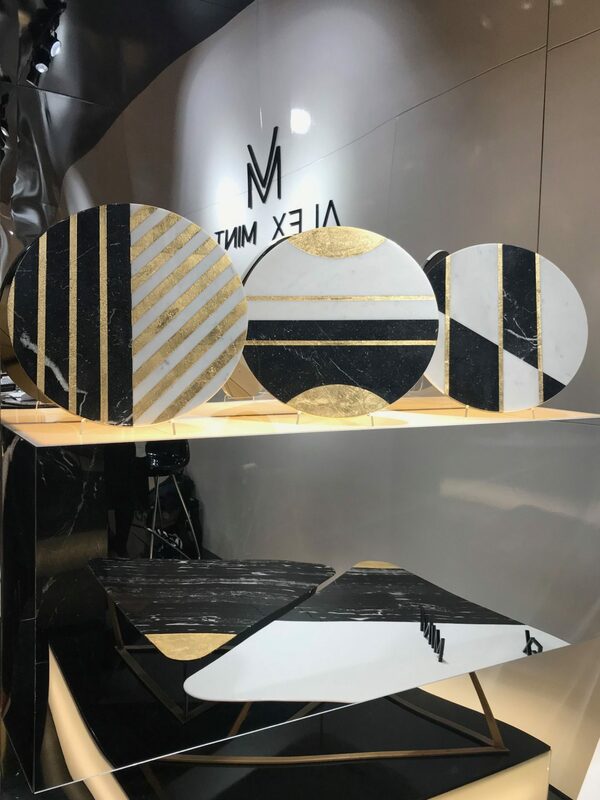 I’d prepped because I know how easy it is to get turned around in a show as big as Maison & Objet, easy to get distracted by something pretty, easy to miss a key supplier or brand and easy to realise you’ve walked across the same hall five times looking for a stand. Clocking up the miles is an occupational hazard and why comfy (and DRY!) shoes are essential. So who and what, was catching my eye? As soon as I walked into Hall 7 I was met with one of the biggest statements of the show – fringing! 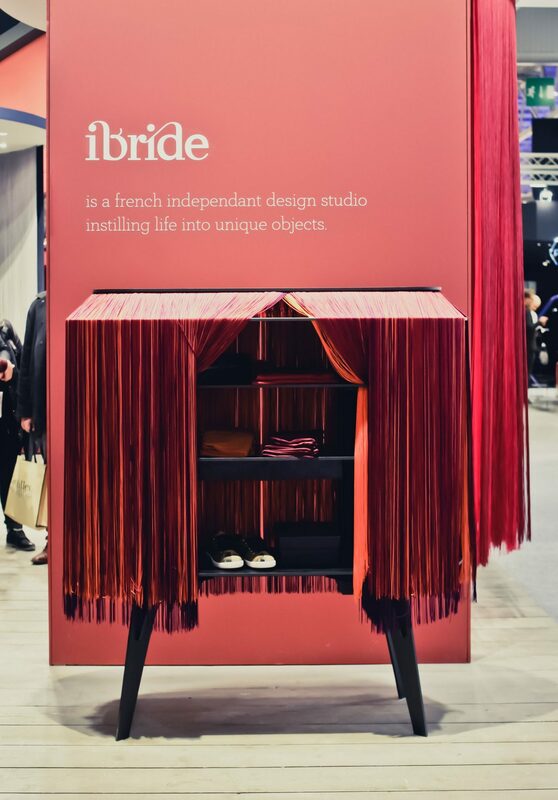 French brand ibride were sporting some of the most memorable fringed furniture, as were Spanish brand Houtique, also in the same hall. It seemed to be causing a “marmite” reaction, people either loved it or totally loathed it. I always like to leave a little wriggle room in my schedule to deviate and find new things. But this just landed square in my lap. 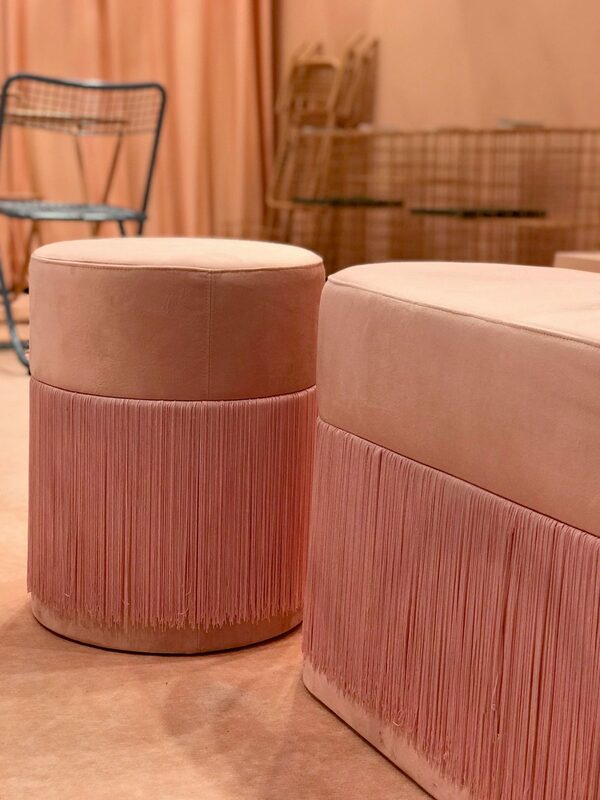 Over at the Munna stand, also in Hall 7, there was plenty of velvet and fringing combined, they showed the Fringes Sofa back at the September 2017 edition of Maison & Objet and it caused quite a storm then. 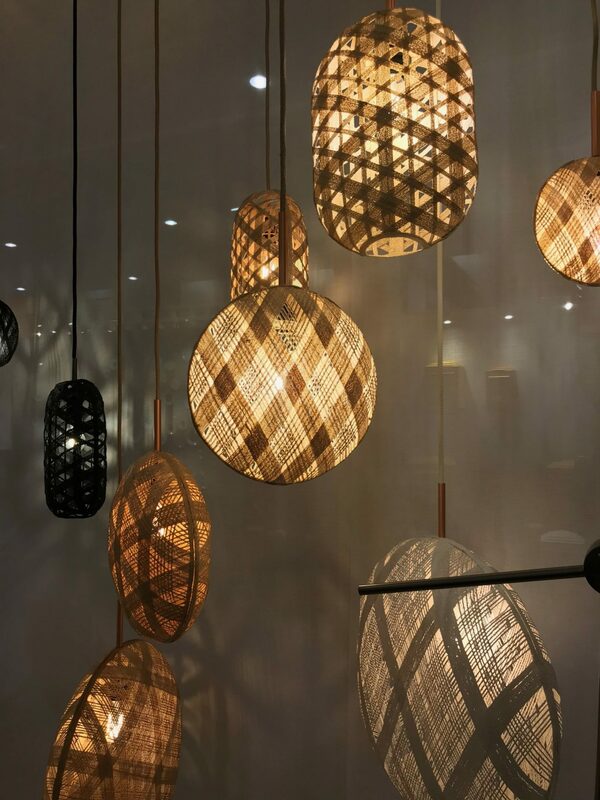 Wicker and rattan in furniture, lighting and accessories is making a huge comeback. It’s been growing in profile across the Interiors Magazines and has been a big hit on Instagram. 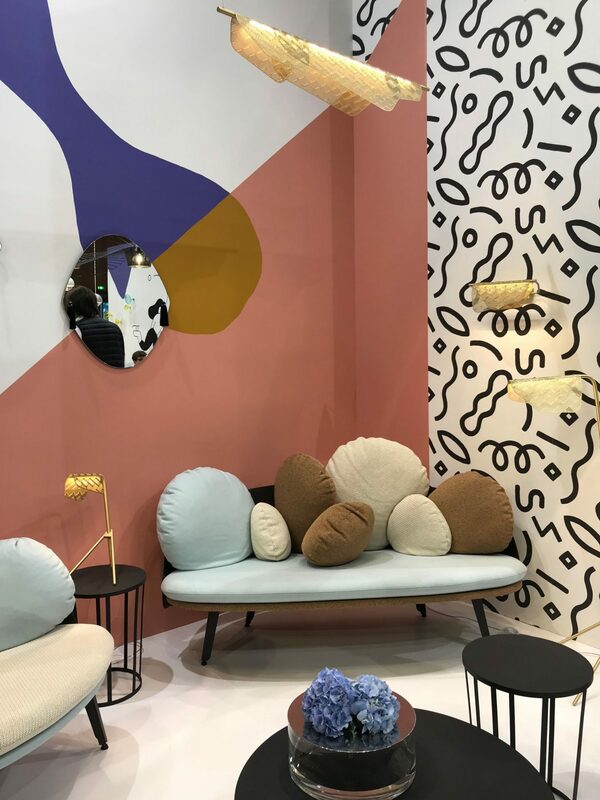 It’s a natural progression of the 70’s/boho throwback we’ve seen but if Maison & Objet is anything to go by we’re about to see an awful lot more of it. In the right setting and styled well I quite like it, but too many elements and this look just falls apart for me. I love the pieces by GTV (Gebrueder Thonet Vienna) using caning and reeding as they are absolutely beautiful, but when it gets too rustic and repeated too often I’m just not a fan. It seems to be most successful as lighting as seen at Popcorn and Ay Illuminate. I love to watch how colour transforms a space. 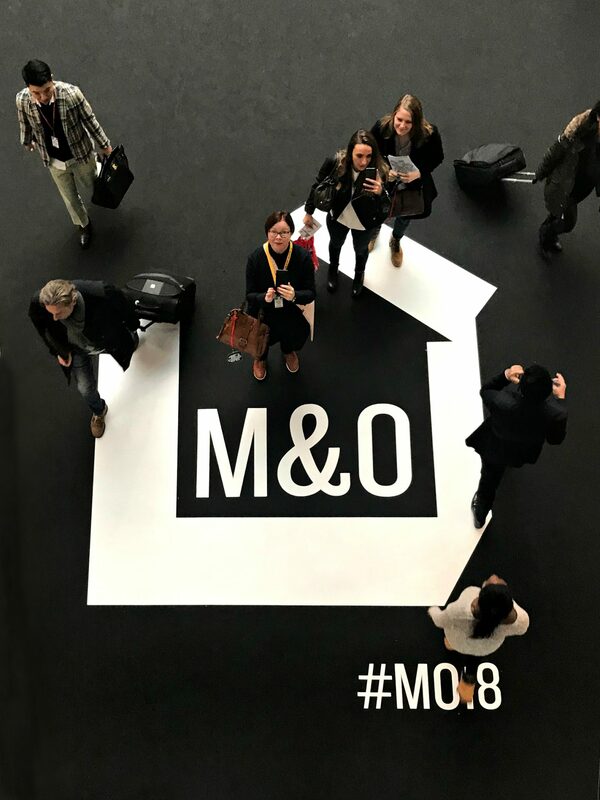 Maison & Objet and shows like Stockholm Furniture Fair are usually really good barometers for what we are going to see in magazines and in the shops in the coming months. Colour was in no way apologetic as I marched through the various halls. 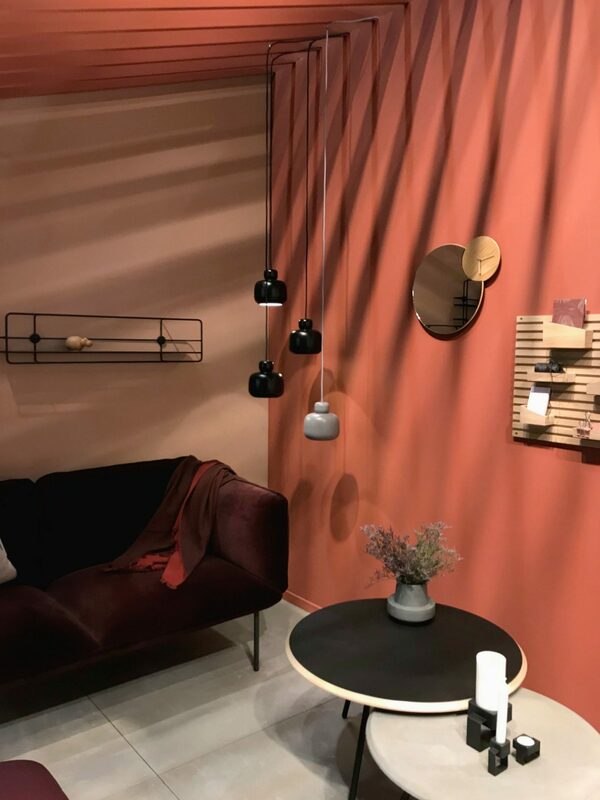 Lot’s of earthy terracotta tones that merged into apricots and peachy hues, juicy berry red tones that have evolved from the pinks that have dominated (sometimes shown together), and lots of colour blocking. 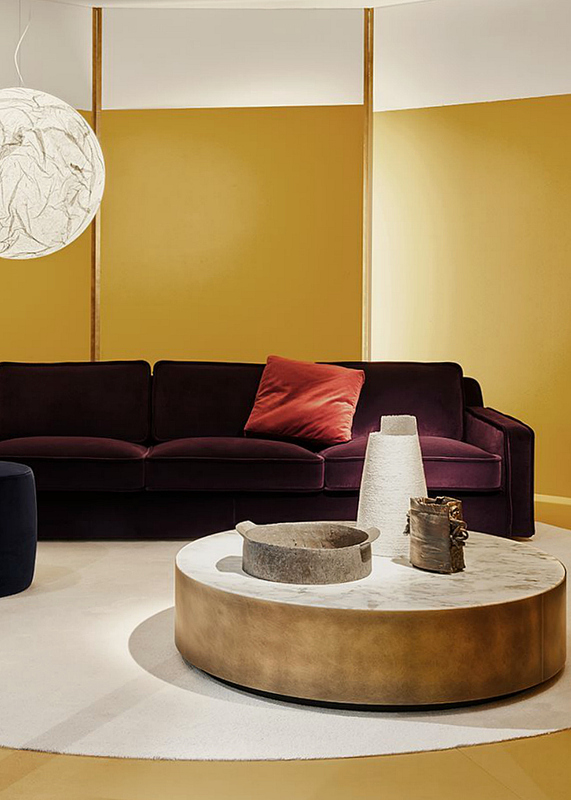 Danish brand Woud and French Eno Studio were strong contenders for these tones. There was a growing frequency in smaller pieces of mustard/gold yellow paired with cool mauve tones and the new neutrals. There was still evidence of jewel-like blue and greens, but the hues were a little bit “off” making them visually interesting. 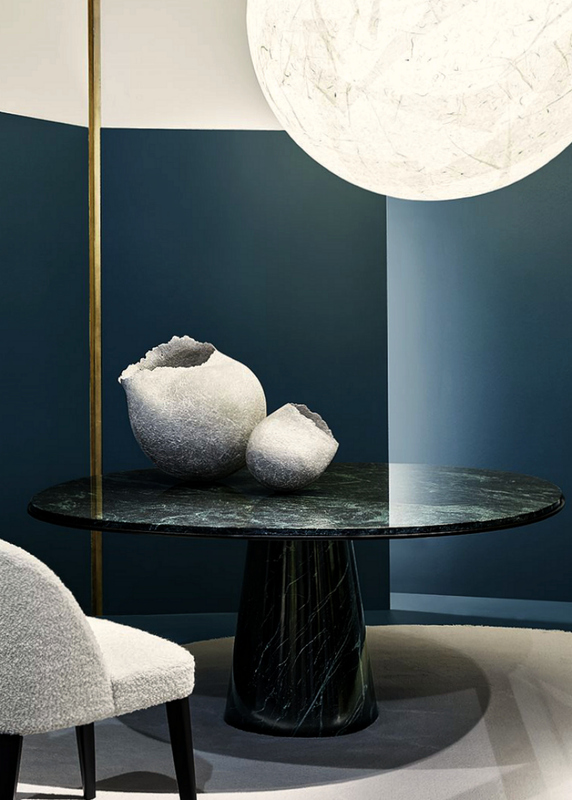 The Meridiani stand used striking colour to highlight the new marble finishes for their tables and consoles, as well as their velvet sofas. 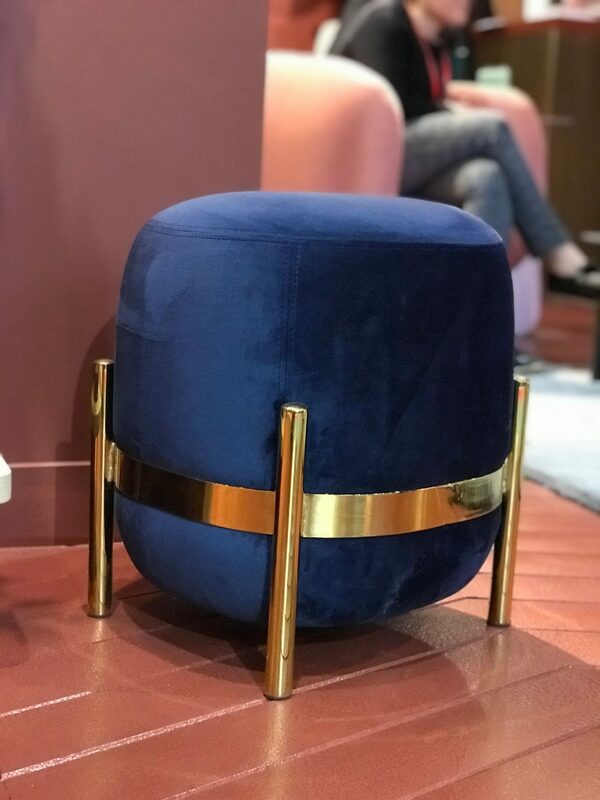 Velvet and curves almost went hand in hand in plenty of new furniture pieces on show. 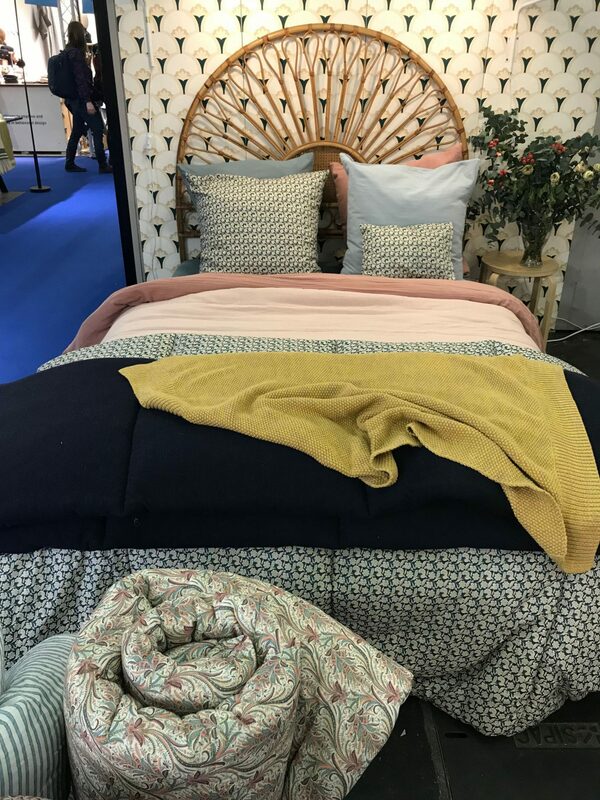 The decadence of velvet hasn’t waned yet, although, Maison always has lots of linen on show as well – it’s a very French show after all. Texture was also prevalent with open knits and fabrics with more 3D qualities like the bouclé’s seen at Tom Dixon. 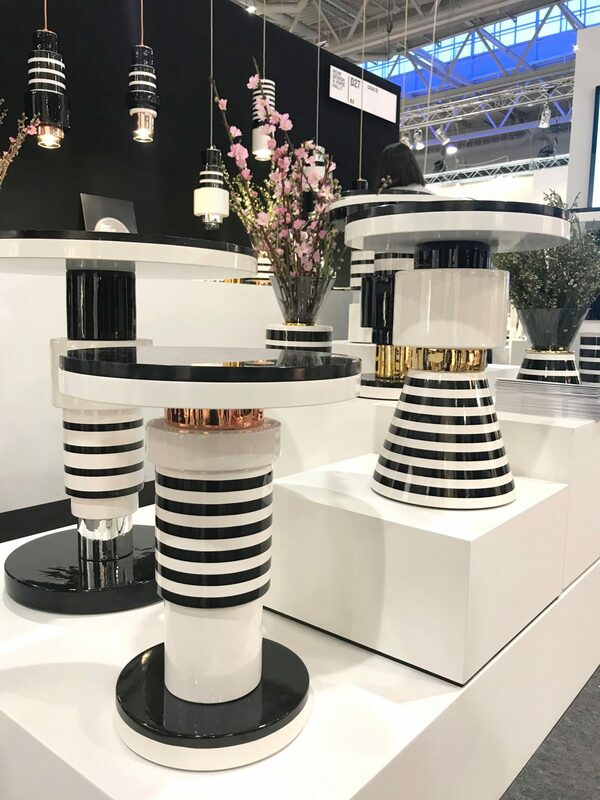 Black and white combinations are making an appearance, which feels quite 80’s but also makes sense, as we’ve seen so much Memphis influenced furniture around in the last couple of years. It’s also that pop art, Miami Vice meets pastels that we’ve seen in the last twelve months or so. 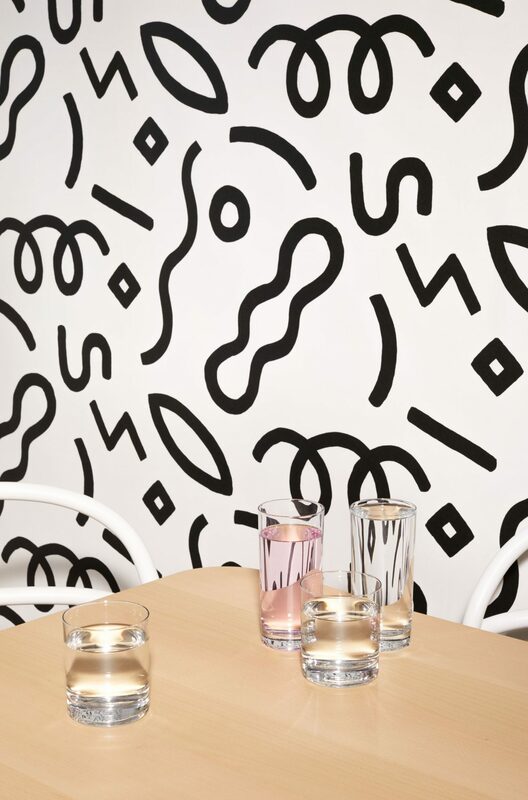 If you want to dig a little deeper there are De Stijl and Mondrian influences seen in brands such as Maison Dada. 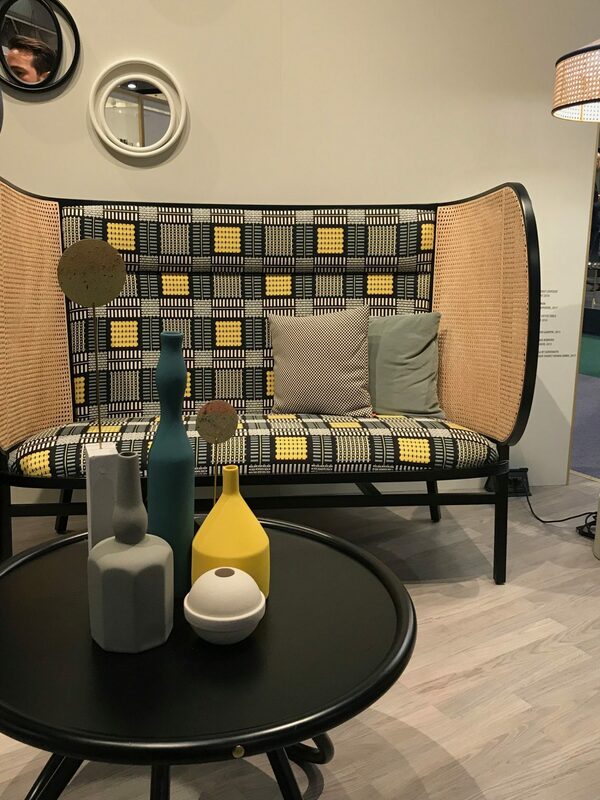 One of my personal favourite items of the whole show was the Hideout love seat by Swedish design studio Front for GVT (Gebruder Thonet Vienna). I was also smitten with the much Instagrammed CC Tapis rug stand. 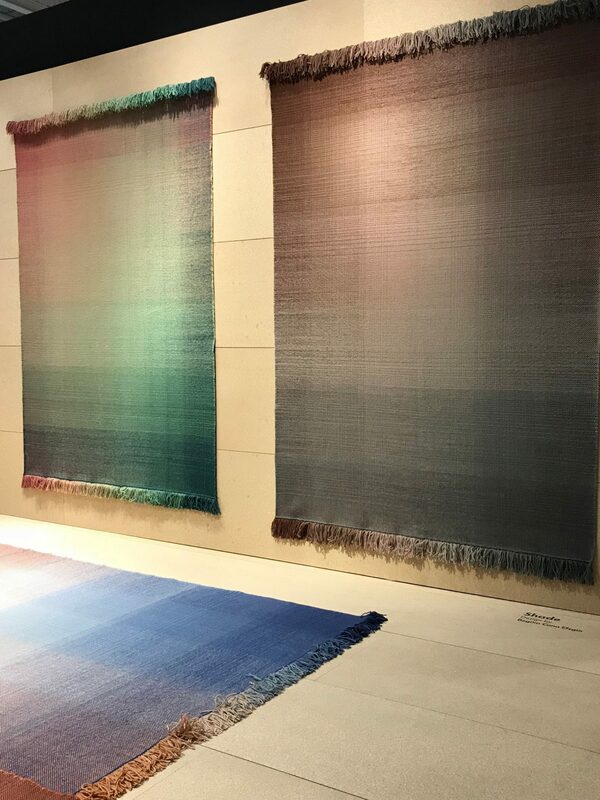 Obviously, the runner by Patricia Urquiola is beautiful but the new Cartesio rug by Italian designer Elena Salmistrato captured my attention. 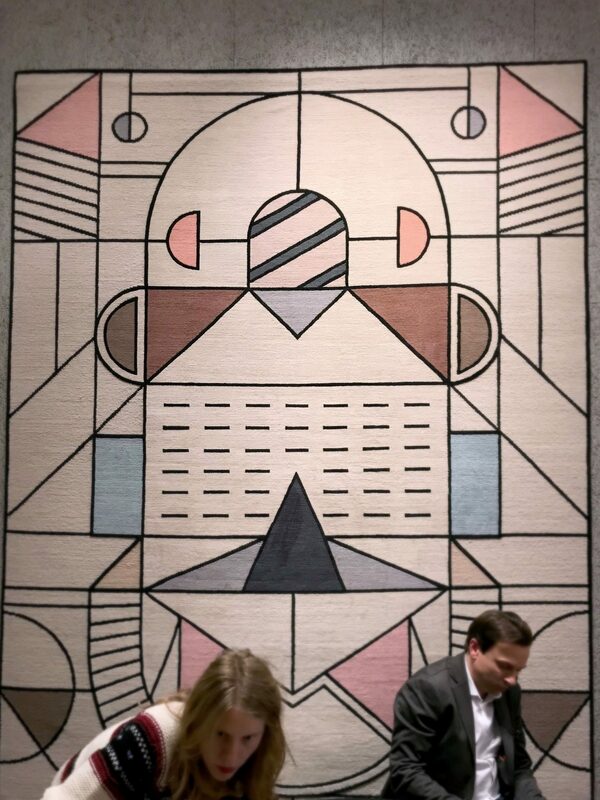 Another rug company wowing me was Nanimarquina with their weave that created a beautiful merging of colour. Totally loving all of this style. Kind of relaxed but with a luxurious feel. Thanks for sharing your discoveries! Good to see velvet’s still around! And the fringing is really interesting…you’ve done well to pull your favourites from such a huge show and make them seem so cohesive. Some lovely pieces here, I’m especially loving the monochrome elements. The fringing is cute too! If I’m honest, I’m “concerned” by the fringing mostly because I have a dog and a 5-year-old!! Can you imagine jammy hands playing with that? 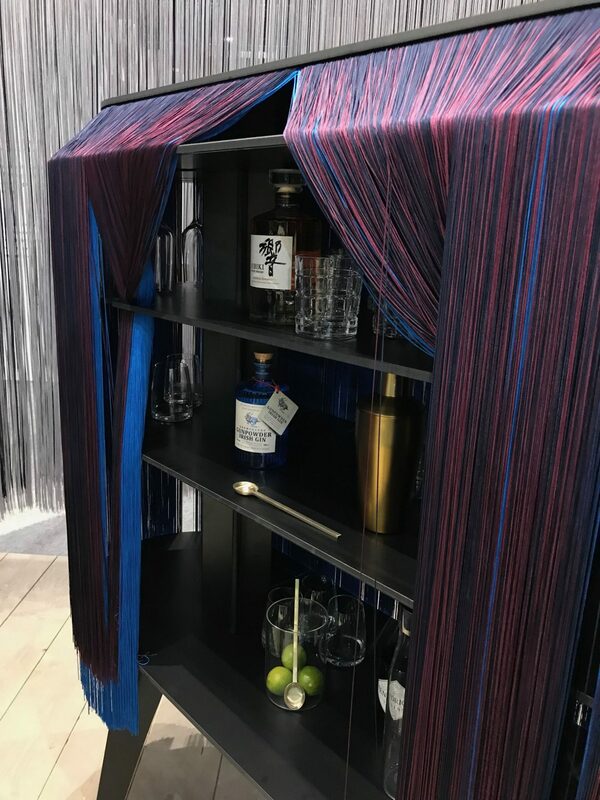 On the plus side ibride’s drinks, cabinet with fringing comes with a comb 😂 Could be soothing, like adult mindfulness colouring. I find photography at shows so so difficult. Generally the lighting is rubbish, casting too many heavy shadows and then there are people in the way. How dare they! Or their bags and elbows. You could stand for days and not get the shot. I know that the show photographers manage it but then they have £10k plus of kit usually. My sneak attack is to rush around near the end when everyone is dashing to get the metro. Did you go alone? You should have said, I was looking to go but didn’t want to go alone! Fancy going to Milan in April ? I love how much inspiration you can find in these shows, I always come back with a thousand photos (easily). What did you think of the black and white trend? Some shows are lonely affairs. With Maison though, even though I went on my own I had dinner on Saturday night with 7 people who I knew. I like that so much, we can geek out and drink copious amount of wine – win win. I’ll definitely be in Milan for Milan Design Week, even though the hotel prices are horrific this year. If you’re going let definitely arrange to meet up. But you know what? We should catch up in London before then. I am feeling strong 80’s vibes so much throughout your finds! I love the tweaks on the colors coming out. Lot’s of embellished cushions with heavy use of passementerie which I’m a fan of right now. I have a great House of Hackney cushion that has a lush double fringe. 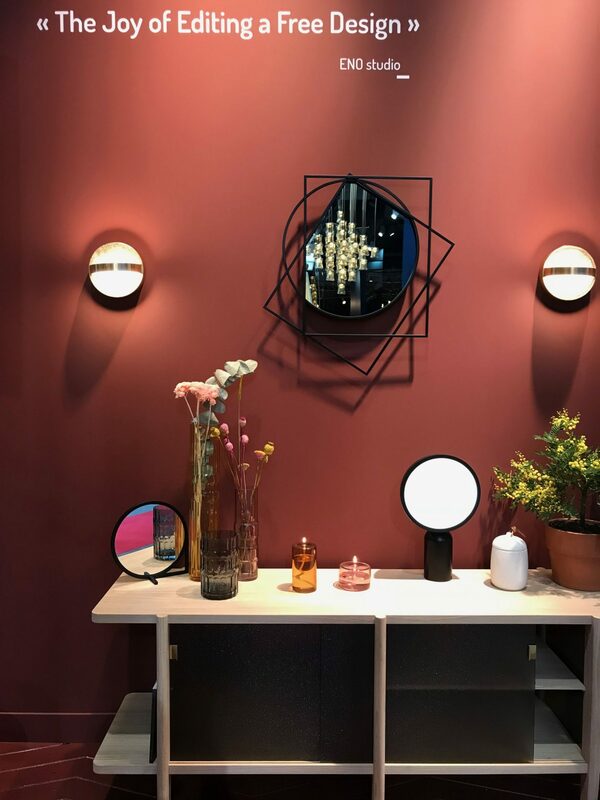 The eye pendant light by Houtique was just so cheeky – loved it. 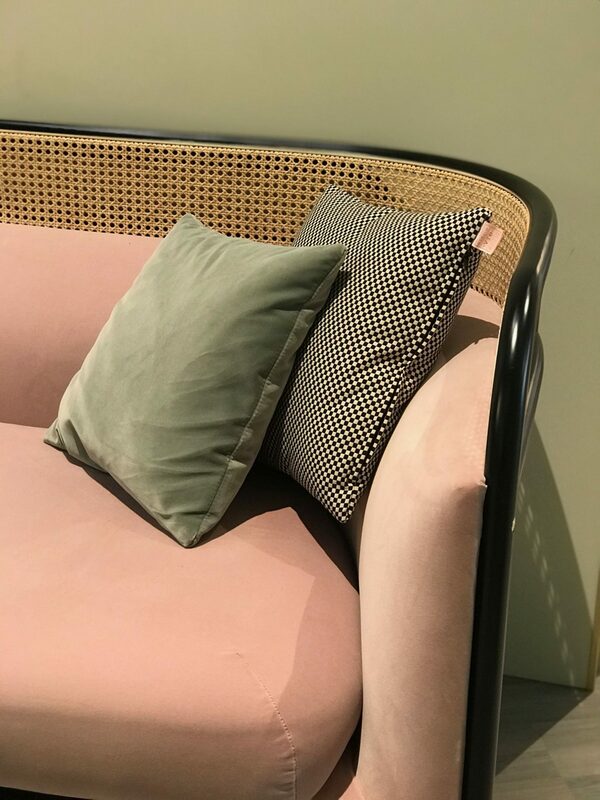 As for cane it was everywhere and I think in small doses it works really well, I think I had rattan fatigue by the end of Maison & Objet though. 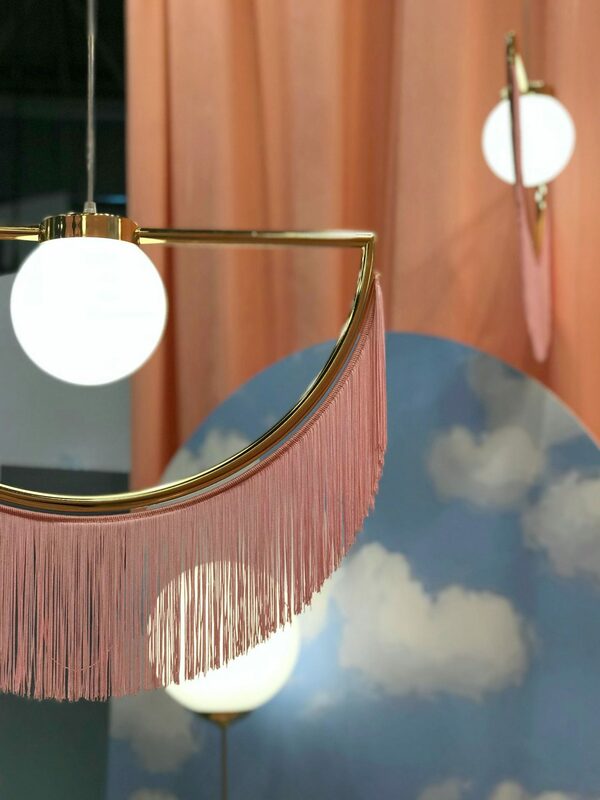 The eye pendant light by Houtique was just so cheeky – loved it. You’re right though about the retro feeling. Although I quite like a granny fringe on a cushion, the fringed furniture makes me very nervous. I’d be forever straightening it and combing it, imagine if it got knots in it? Great photos, lovely to see the new trends. I really like the velvet and metallic trend at the moment. Fringing in small doses is ok but I think it can be a bit over the top for me. Brilliant report Mary. I’ve never been to M&O before but I’m considering making this the next show on my list! I love the terracotta colours coming through and the new neutrals. Got to say though that I detest all that fringing….at the moment…it may grow on me though like velvet did, but I’m struggling to feel the love right now! I can probably put you off fringing for life Stacey….. imagine it getting knotted? Imagine it being sucked by your pet (Milo would destroy that pouf), or sticky jammy hands fiddling with it? I’d be constantly combing it to keep it tidy. I do have a heavily fringed cushion by House of Hackney that I love but I just don’t think fringing is practical on furniture. Great for show stoppers at an exhibition but really live with, very questionable. As for M&O, hit me up with any questions.